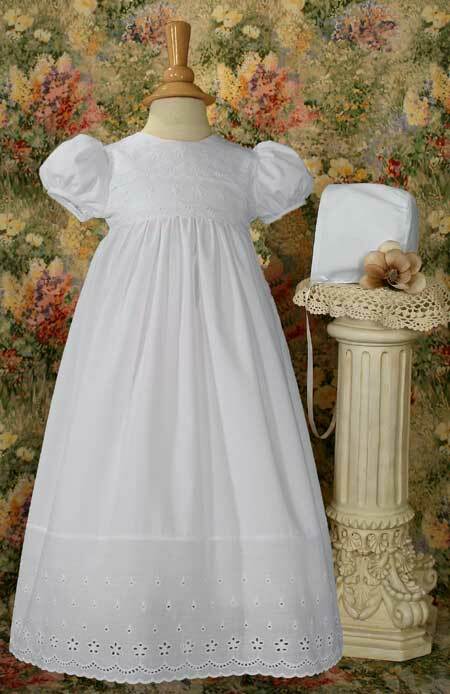 Adorable 24” gown ornamented with floral border eyelet across bodice and hem offers a traditional look at an attractive price. Includes matching bonnet. Slip sold separately below. Fabricated of 100% cotton. Handmade in the USA. Packaged with plastic hanger and poly bag. Heirloom Preservation Bag recommended for long term storage.